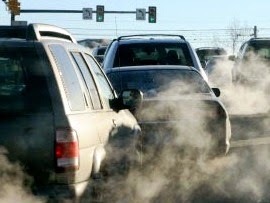 Exhaust Emissions And It's Health Hazards? The most obvious health impact of car emissions is on the respiratory system. It is estimated that air pollution - of which vehicle emissions are the major contributor is responsible for 24,000 premature deaths in the UK every year. Many of these deaths are due to asthma, bronchitis and other respiratory diseases - all of which are known to be aggravated by exposure to car fumes.